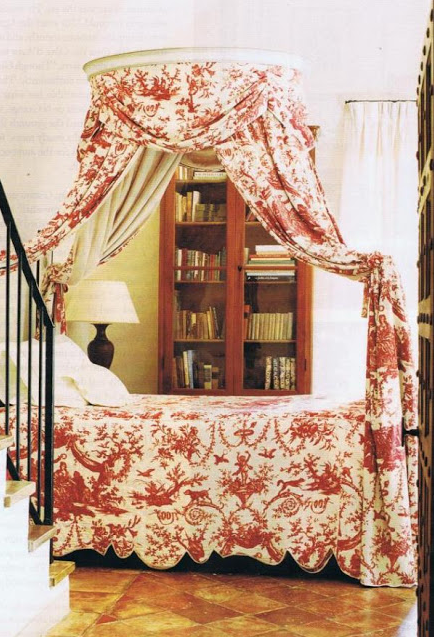 This gorgeous red toile canopy bed certainly has a French style and the pastoral fabric includes foxes, dogs and cherubs in addition to the darling little birds. Source Unknown. Gorgeous colors of toile featuring a peacock design. Suzanne Tucker Collection. 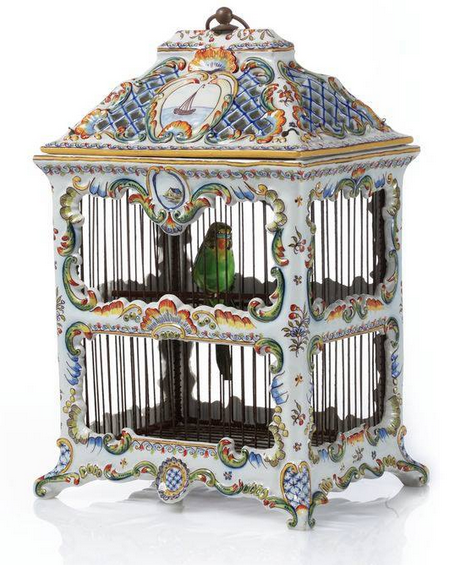 As an interior designer and now as a jewelry designer, I have been enamored with birds for many years - everything from handsome pheasants to dainty little hummingbirds. 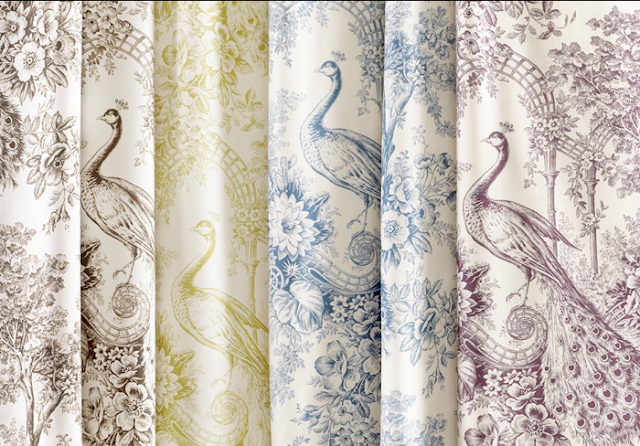 Birds are often included in one of my favorite categories of fabrics and wallpapers - toile. This fascination goes back to when I was a child and an eccentric neighbor I used to visit had a room full of parakeets and canaries. I had a parakeet named “Pete” for a few years who slept in his covered cage in my bedroom. Unbeknownst to my mother, I frequently let him have free-flying lessons in the house when she was not at home. The housekeeper would get furious because in order to keep my little secret, she had to clean up his free-flying poops before my mother arrived back at home. 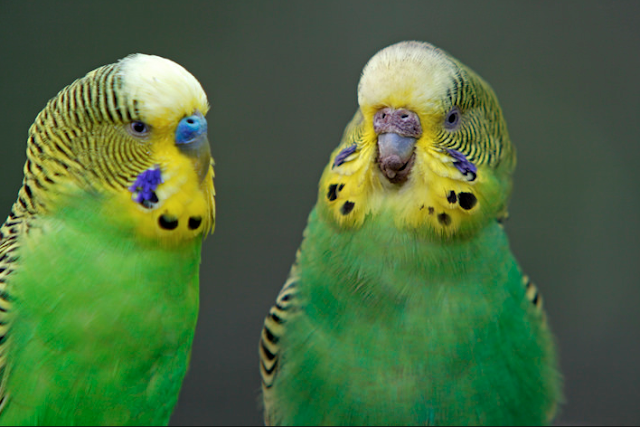 Even though these are both green parakeets, there are subtle differences - the main difference has to do with the fact - one is male and the other female! 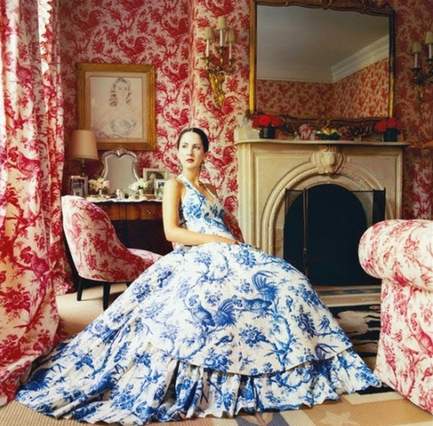 Just a touch of toile overkill. I don't think I would have chosen this as a wedding dress, but apparently Carolina Herrara's daughter felt it was perfect! Notice the sweet little birds in this toile wallpaper paper - but don't forget to look at the guest towels too. Via 1stDibs. 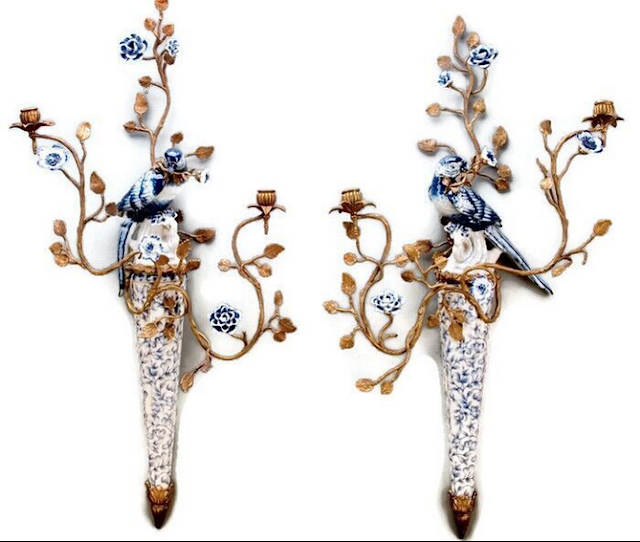 Gorgeous blue & white bird sconces. Via The Enchanted Home. Birds in the South, where I grew up, were accepted as a fact of life and revered. Friends, and even my own mother, had porcelain bisque birds displayed, birds on sofa fabrics and drapes and paintings of birds in their homes. Naturally, I thought all of this was completely normal - because I did not know any better, nor had I been exposed to a more diverse culture. When I moved to Boston in my 30’s and suggested a fabric or wallpaper with birds to my clients - I was met with a resistance of unknown proportion! It seems as though almost every ethnic culture has some type of superstition regarding birds - none of them positive and almost all of them involved illness, death, or some type of misfortune. To say I was bewildered that my beloved birds were seen as an adversity, is an understatement! 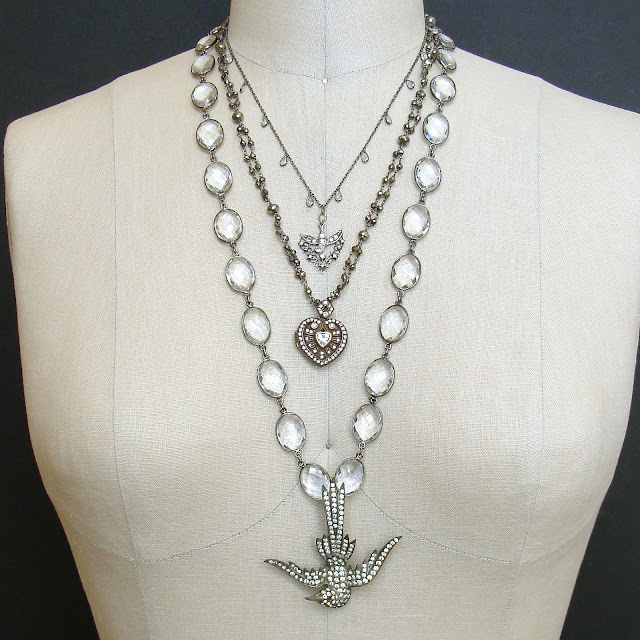 These necklaces are layered and featuring two doves/swallows. 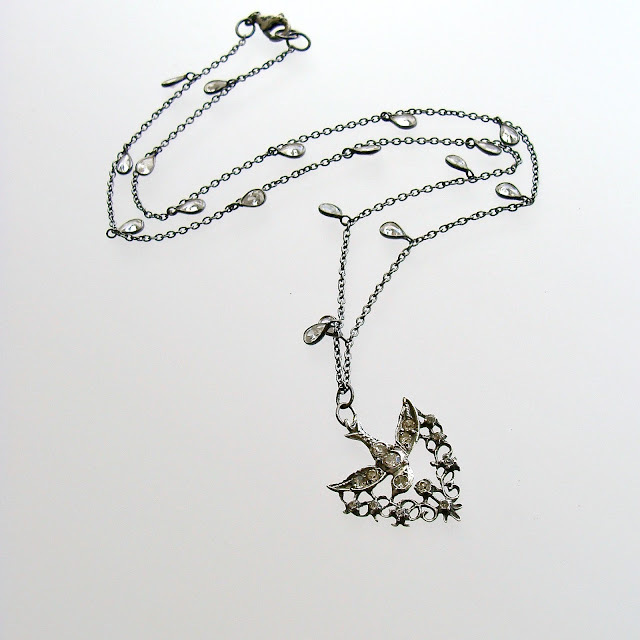 The larger bird was actually a brooch converted to a pendant for this necklace. 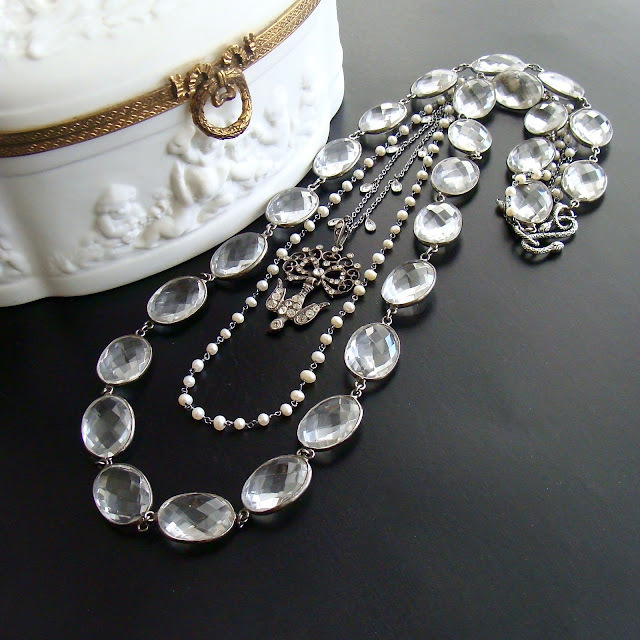 Saint Esprit II Necklace. Now I am fortunate to live in such a warm climate where birds are abundant - everything from morning doves to hawks and those precious little hummingbirds. My fascination still continues, but as an adult, I have come to realize - not only are birds meant to fly, but caged birds are messy beyond belief! My most recent interest in birds are from the Victorian and Georgian Eras - Saint Esprit Doves and Swallows. The Saint Esprit Dove can be traced back as far as the mid 1700’s in France and was a religious symbol, meaning “Holy Spirit”. The dove itself is highly symbolic in many cultures and faiths, meaning peace, love or fidelity. These sweet little antique Saint Esprit pendants are usually made of sterling silver with paste stones and look gorgeous mixed with rock crystal or white topaz and pearls. 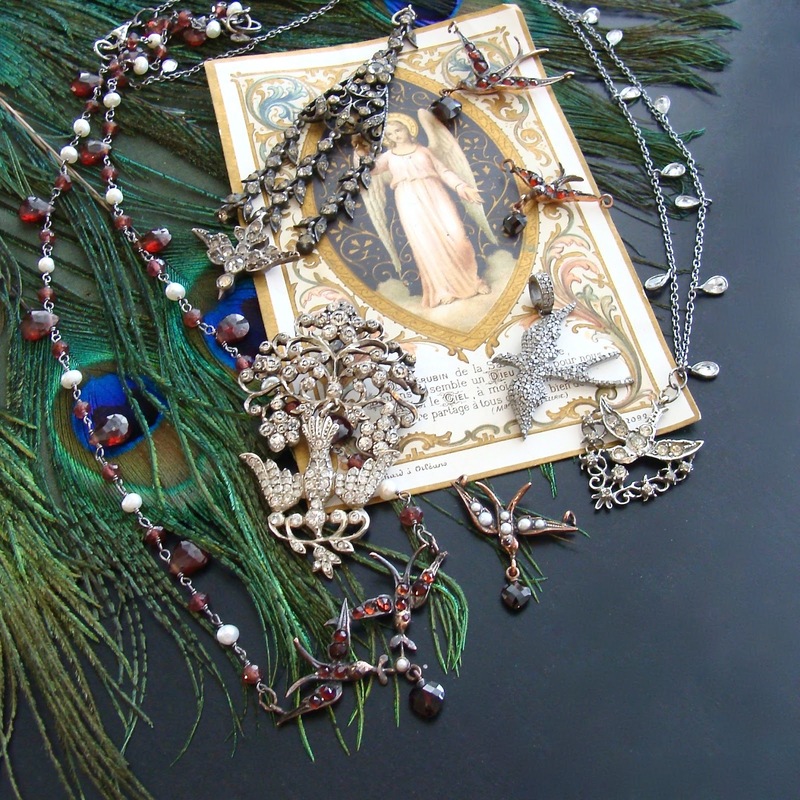 As we move forward into the Victorian era, the doves or swallows found in the jewelry of that period represented safely returning home and/or faithfulness. This connotation was taken from the legend that swallows lead ships home as they get closer to land - preventing the ships from being lost at sea. This sweet little Saint Esprit Dove is an example of the type holding a branch in their beak - symbolizing peace, friendship & hope. 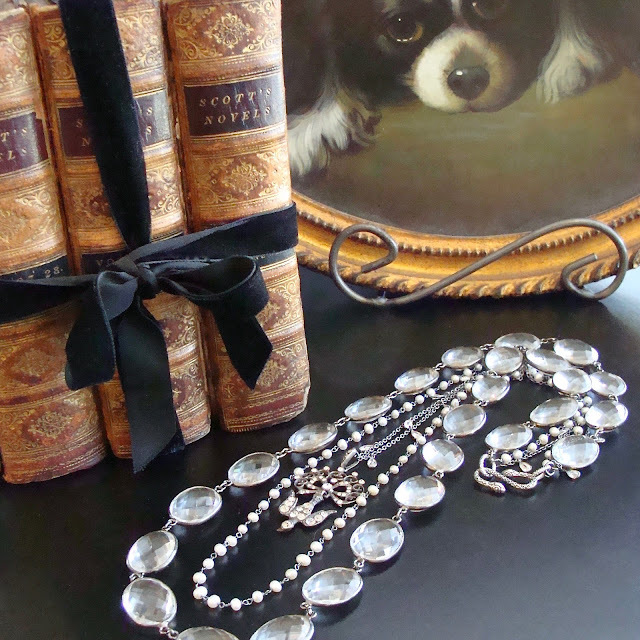 Saint Esprit II Necklace. Victorian French Saint Esprit Doves, descending from heaven with their wings spread, was a symbol of faith. Birds holding a heart in their beak symbolized love and holding a branch signified peace, friendship and hope. The fact that swallows mate for life has made these coveted romantic symbols endure - even hundreds of years later. As you can see, these precious little doves/swallows come in many stones - paste, diamonds, garnets and pearls, plus many others. They also can be very ornate or very simple. 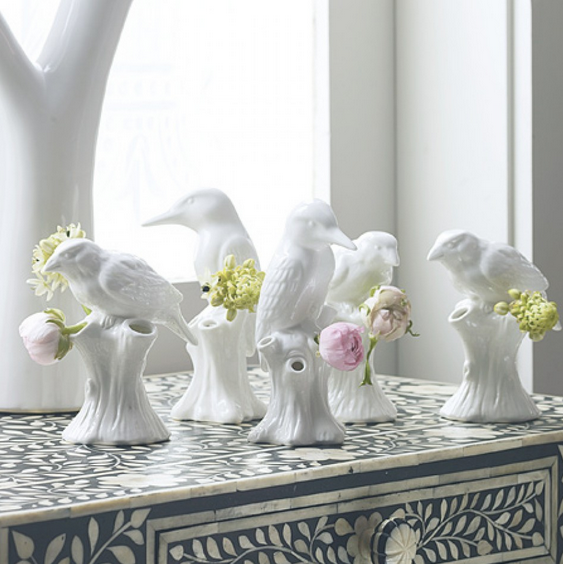 All of these birds are either antiques or made from antique molds. The only exception is the diamond swallow flying left. As you can see, I have collected a small grouping of these adorable birds, both reproductions from old molds as well as antiques. I only recently made up a few of these bird designs and perhaps the tides are changing. I am finding other bird lovers that have eschewed their cultural superstitions and are also collectors of these charming wonders of nature.